The online version of this article ( https://doi.org/10.1186/s13006-019-0208-y) contains supplementary material, which is available to authorized users. Appropriate and optimal infant feeding is fundamentally important to assure adequate nutrition and growth during infancy. Optimal breastfeeding involves complementary feeding and overlapping practices of exclusive breastfeeding (breastmilk with no other foods or liquids) for the first 6 months of life, early inititiation of breastfeeding as soon as a child is born, feeding colostrum and avoiding prelacteal foods . In Nepal and elsewhere throughout South Asia, suboptimal infant feeding practices have been associated with undernutrition, reflected by stunting and wasting, and mortality [2, 3, 4]. Practices such as early initiation of breastfeeding, avoiding prelacteal feeds, assuring intake of colostrum and maintaining exclusivity of breastfeeding in early infancy, represent critical exposures that benefit child growth and development [5, 6]. Exclusive breastfeeding up to 6 months of age and continuance of breastfeeding during the first  and second  years of life have been associated with increased linear growth and better cognitive development scores . In Nepal , elsewhere in South Asia [15, 16, 17, 18, 19] and in other regions [20, 21], colostrum may often be discarded, despite nutritional and immunological benefits it confers to newborns , and replaced by prelacteal feeds. Prelacteal feeding not only displaces breastmilk, but also can disrupt the priming of the gastrointestinal tract  and may introduce pathogens that increase the risk of illness . Consequent delay in establishing breastfeeding has been shown to predispose infants to a higher risk of mortality in a dose response fashion . In South Asia, including Nepal, despite the increased policy and programmatic investment in behavior change communication to promote optimal feeding practices for infants , achieving the targets set by WHO is proving to be challenging . Small area studies have been conducted in Nepal to identify factors related to infant feeding practices, mothers’ knowledge on how long a child should be given only breast milk, perceptions about the benefits of breastfeeding, socioeconomic status, and mothers’ education [27, 28, 29] that may help guide more effective breastfeeding promotion. However, there remains uncertainty about the generalizability of these findings nationally. The present paper presents prevalence estimates for four breastfeeding practices as assessed in a nationally representative sample of infants (< 12 months of age) in Nepal and examines factors that are associated with these feeding practices at individual, household and community levels. Infant age at assessment was an important predictor of predominant breastfeeding, with older children more likely to have already had semi-solid or solid foods introduced. 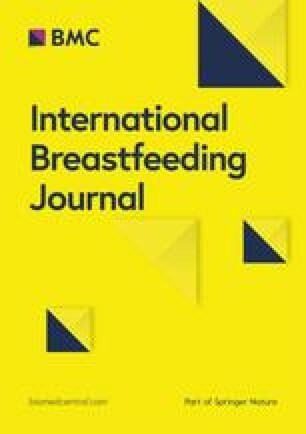 This finding is consistent with findings from other studies in South Asia [47, 48, 49] and elsewhere [50, 51, 52] indicating a transition to complementary feeding in mid-infancy.